Don’t let the name fool you – these drums are definitely real. 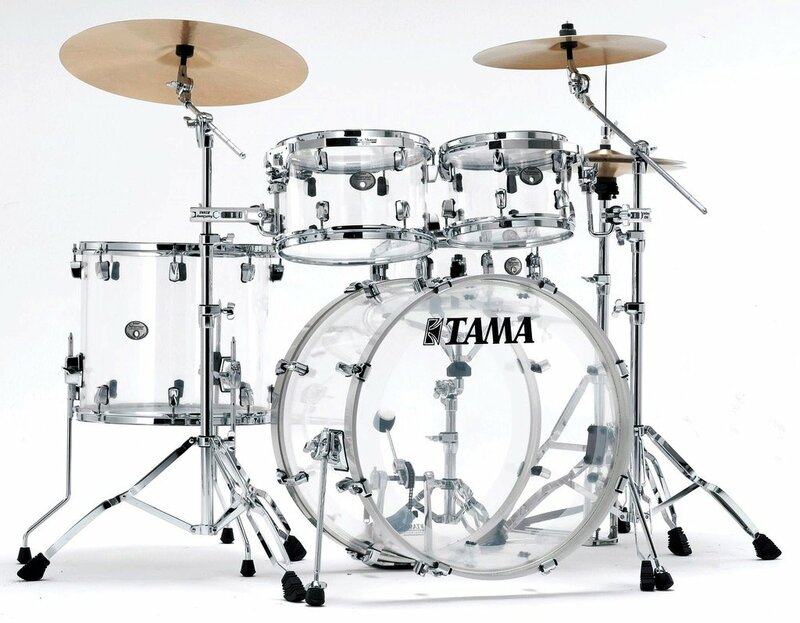 With a sound as clean and clear as the shells that inspired its name, Tama’s Limited Edition Silverstar Mirage kit is more than just a sight for sore eyes. Seamless acrylic shells offer bright, cutting punch with plenty of body to back it up, while also increasing durability and sustain. It’s a powerful sound, a focused sound, and a modern sound that perfectly matches the set’s stylish looks. But why call it a Mirage? Because the price is almost too good to be true. For this limited run kit, Tama is including a free matching snare drum – something you won’t find included with competitor’s acrylic kits. The set’s 18x22” bass drum and modern tom sizes make it ideal for performing in a variety of different genres. And the free 6x14” snare adds extra depth for a fat, cracking finish. Bolstered by a full complement of Silverstar features that include low-mass single lugs, stabilizing claw hooks, and the sustain enhancing Star-Mount System—the Mirage rig is designed to deliver night in and night out with no worries. Exclusively available as a 5-piece kit in classic Crystal Ice, the Silverstar Mirage is being released in extremely limited quantities. This 5-piece shell pack includes a bass drum, floor tom, two tom-toms, and a free matching snare drum.